These Aroniaberry Hand Pies make the perfect breakfast or dessert! Made with pre-made pie crust and stuffed with aroniaberries, these pastries are quick and easy. 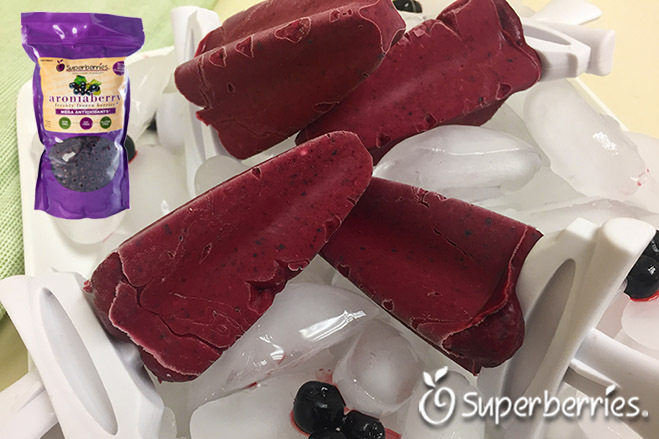 Frozen popsicles are a great way to get kids of all ages to enjoy the antioxidant benefits of the aroniaberry. Perfect for after school or after work treats. Using a quick freeze popsicle maker, these treats can be ready in 20 minutes. Kuchen is the German word for cake and is used in other languages as the name for several different types of sweet pastries or desserts. In this Aroniaberry Kuchen Recipe, we introduce our Aroniaberries grown in Nebraska and Iowa to this dessert that is common is the Midwest and is South Dakota's State Dessert.